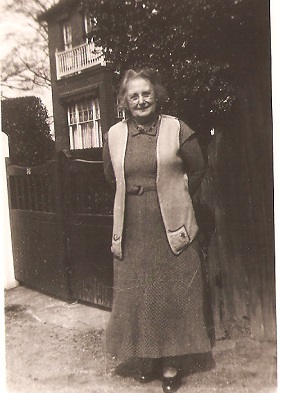 Rebecca Maria Brown was the first child of Rebecca Boxall and Benjamin Brown (described as a “journeyman tailor”) of Haslemere, West Sussex. 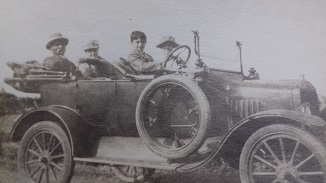 Arthur and Rebecca were married in Haslemere on 4th November 1882, and their first child (Edith Agnes, known as Edie) was born there in 1883. They went on have eleven more children, including Connie (1899)1 and their last-born George (1906). The family eventually settled in Bexhill-on-Sea, East Sussex, where they rented a large terraced house (29 Park Road: two main floors, plus a semi-basement and an attic), and then took over number 31 as well. Both houses were called “Augusta,” and were run as a boarding house2. 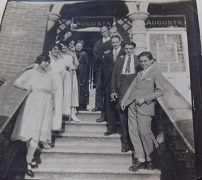 By 1921, the houses had been re-numbered (29 became 16)-but, for thirty years or more, the seven stone steps up to the front doors of “Augusta,” Park Road, were the standard setting for family photographs. 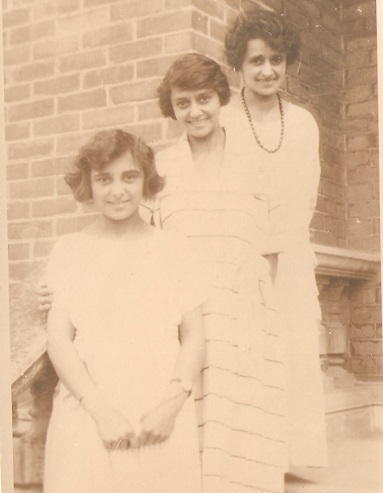 The Ramdin family must have been well-known locally, or even notorious. Indian gentlemen were not a common sight in those days (not in Bexhill, anyway), and the dusky children, who grew into pretty young women and handsome young men, clearly attracted swarms of admirers. The “Augusta” establishment -two large houses, with many rooms-gave ample opportunities for natural inclinations to prosper. It was probably the centre of a very lively social scene-on that, in retrospect, would make the “Swinging Sixties” look like an Enid Blyton story. Indeed, the youngest daughter Lily Augusta (known as “Ba-Ba”) died of an illegal abortion when she was 19 years old. 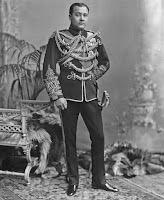 Maharaja Nripendra Narayan of Coochbehar, a small principality in the east of India, had come from Moor Hall, Ninfield to Bexhill to convalesce. He died a few months later and his funeral took place on 21 September 1911. 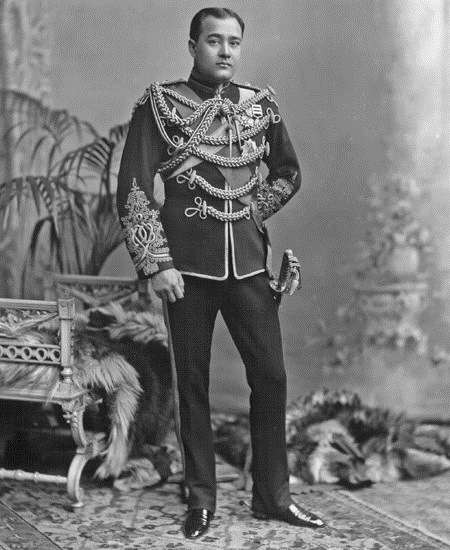 He was popular with the British Raj and was acclaimed at the Court of St. James, as the ideal Indian prince. All his four sons studied at Eton. When he died from complications due to pneumonia, King George V gave him a royal funeral with full military honours. A memorial drinking fountain was dedicated to Nripendra Narayan and formally opened by his son Jitendra Narayan, who succeeded him to the throne. ‘The erection in England of a memorial to the Ruler of an Indian State must be an incident of a unique character, and those who were privileged to witness the ceremonial opening of the Maharajah of Cooch Behar fountain at Bexhill on Thursday afternoon were spectators of an event of rare occurrence and world-wide interest. The proceedings were admirably arranged and though brief in duration, they could hardly have been of a more suitable character. The Mayor, who is always seen at his best on such occasions, had the able support of the Mayoress, while the Town Clerk had spared no effort to render the ceremony agreeable to the distinguished visitors who were honouring the town with their presence. The young Maharajah, who has been suddenly called to the rulership of the State of Cooch Behar on the lamented death of his brother, made an excellent impression. Wearing a turban and a handsome native dress, he presented a striking figure. His speech was admirably delivered. 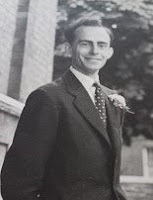 Speaking clearly but rather rapidly, his voice was plainly heard by the several thousands of people gathered round, and the reference to his late father and the town of Bexhill could not have been more felicitously expressed. The fountain was relocated from its original site and re-erected in, near the entrance to Egerton Park next to the Bexhill Museum. It was removed in 1963 for restoration and has disappeared since.